LIFE UPDATE, “Your Inner Critic is a Big Jerk” book response, and April selection! I honestly can’t believe we are a quarter of the way through the year. 2018 is flying by and I am personally OK with that. Check in with me this summer and we’ll see if I’m ready for time to slow down or not. I guess I’ll jump into the life update first since it has bearing on the book I chose. It’s really quite big news. I got my California real estate license and quit my job at PLNU. I am ready for new challenges and to help find people their first (or next) home. This has been a career that’s tucked its way back into the corner of my mind for over five years, so I am ready to just go for it. Unfortunately this means I will be tightening the belt in the meantime until I can close my first transaction—and even then I’ll be waiting a while until my commission comes through. I can already feel the relief and joy of closing my first deal. Of course I have been planning this for months and have “get by” money socked aside. If you know me at all, you know I don’t make decisions like this without hours of deliberation and preparation. But, honestly, this is probably the biggest leap of faith I’ve taken… ever. This is the big one: Let me know if you live in Southern California and are in the market to sell/buy a home. If you are an author or routinely write long reports for school or work, use me as your proofreader and editor (click here). I can also format things for you so they look nice, organized, and professional (click here). Email me to get around the fiverr system if you’d prefer to just use paypal or venmo. By booking hotels through The Voyageer (even ones I haven’t featured on my site. Just use that widget tool). This will not cost you any extra and I will get a referral commission. Schedule $30 social media (LinkedIn, etc) headshots with me. (My slogan is “cheap headshots, pretty good”). Email me for more information. 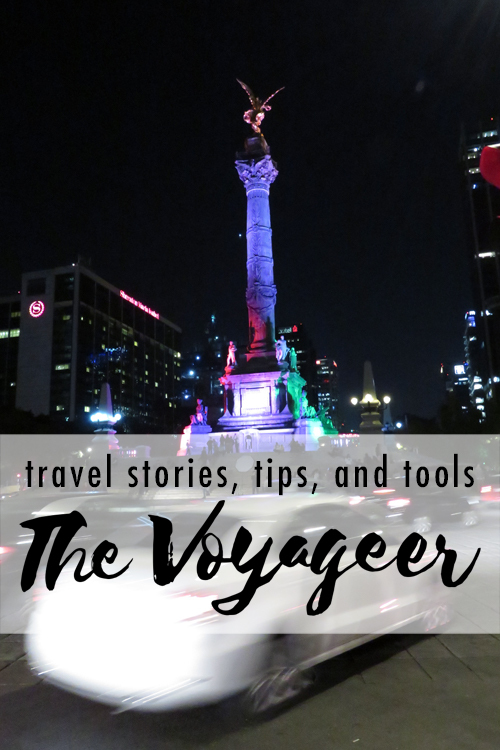 Or just paypaling me a small tip if you like my writing on The Voyageer or have used any of my travel tips. I’d say, “if you like my writing here,” but I have not even averaged a post a month on My Friend Staci since deciding to focus on travel content. Whoops. Thanks for sticking with me through that. And for sticking with me through two years (!!) of Virtual Book Club and almost nine years of blogging. Can you believe the book club has been going for two years? Even more impressive is that I’ve only missed a couple of monthly posts in that time period. Good job, me! If you need a refresher, Libby, my sister Stephanie, and I started the Virtual Book Club in March 2016 with Her Fearful Symmetry. Since then we’ve covered a wide range of topics and genres. This month was one of our “choose your own adventure” themes. The guideline was that each of us chose a self-help book. I read the short, encouraging (tough-love) book, Your Inner Critic is a Big Jerk by Danielle Krysa. Honestly I bought this book a while ago (September??) but was too nervous to start it. I was worried that it would hit too close to home so I kept it on my bedside. Honestly just looking at the title comforted me, and that was enough. Until self-help month came around! I was right that the book included a lot of hard truths. Many of them centered around the ideas of “stop planning and start doing” or “many small steps lead to big progress.” Both of those ideas addressed my perfection paralysis head-on. There were jerk-silencing techniques like saying your inner criticisms aloud to realize how cruel they truly sound. My inner critic constantly says things that I would never dream of saying to another human being. You can see how this book challenged me to not only be nicer to myself, but to really put myself out there in regards to chasing my own success. You should buy this book (read it) and keep it on your desk to encourage you. Since I’ve been working from home for almost a week now, I noticed that days of the week have lost a bit of their meaning. Whoops! I’d just finished a satisfying polenta dinner and was scrolling through Instagram when I noticed I had missed 30 minutes of our Virtual Book Club’s monthly facebook chat! Luckily, everyone was gracious and I jumped right in and learned about what everyone else read, including a money book, a cooking (and writing) book and a look into the always-fascinating Enneagram. As always, leave your comments below or link me to your review of this book if you’ve already posted it on Goodreads or Amazon! I would love to read your take! In April we are changing it up yet again and doing a cookbook! 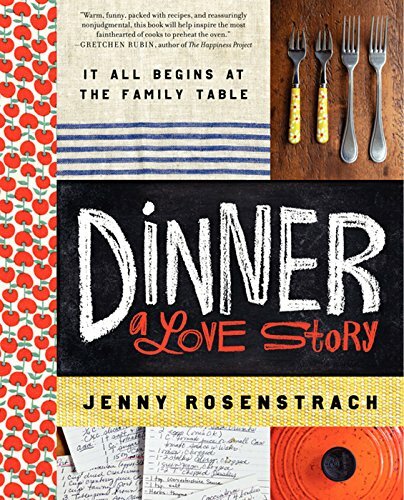 We will be reading Dinner: A Love Story. Okay, Amazon has it filed with memoirs, but it definitely has some recipes in it that I will be making. Please join along with me, Libby, and the rest of our group as we continue reading interesting books and debating ideas in a friendly space. Speaking of Libby, I was interviewed on her blog this week. Check it out! Posted on April 4, 2018 April 5, 2018 Categories Book ClubTags Book Club, books, good reads, nonfiction, summer reads, virtual book clubLeave a comment on LIFE UPDATE, “Your Inner Critic is a Big Jerk” book response, and April selection! “Little Fires Everywhere” book response and February selection! January’s book club read was Little Fires Everywhere by Celeste Ng, a book that was included on so many “best of 21017” lists at the end of the year, and after reading, I totally get it. This post contains Amazon affiliate links above and below. I have a lot of feeeeeelings about this book as almost everyone who’s read it does. It has so much buzz right now. Luckily, I got most of my “!!! !” feelings out on Tuesday during book club so I can write a spoiler-free review. That also means the review will be pretty short. I feel OK starting this section out the way the book started: at the end. We open on a family house burning down and get to glimpse the reactions of each family member as it happens. This is our first peek into the lives of the Richardsons (2 parents, 4 kids), the Warrens (mother and daughter), and their relationships to each other. From there, the novel backtracks to the beginning of the Richardson-Warren relationship, when the Warrens move into a rental duplex owned by the former, in Shaker Heights, Ohio. If you like complex and dynamic interpersonal relationships that change over time, you’ll like this book. If you like stories that aren’t a mystery but are a bit mysterious with bits and pieces being revealed slowly, you’ll really like this book. I liked the way that we glimpsed more and more from each character as the story progressed. I also liked the omniscient point of view – being able to access the thoughts, feelings, and background of each character added a lot of depth instead of just moving through the plot from the POV of one or two characters. A couple of the main plot points don’t have right or wrong answers, which is why I think everyone is buzzing about this and why we had so many new participants in our book club this month. YES! This is one of those books that sticks with the reader long after finishing. Things on the news or in the lives of your friends and family will make you recall moments in the book that were complex and nuanced just like things are in real life. Our Virtual Book Club normally meets the last Tuesday of the month over on Facebook. This week, since Libby was visiting, we did a facebook live for the first time! It was tons of fun but I personally prefer our normal online chat group. We are always looking to grow our group. If you’d like to join us over there, message me on Facebook to be added. For February (Black History Month), the group voted to read Hidden Figures. The movie really moved me (I cried multiple times and I am not a crier) and I am looking forward to getting more details by reading the book. Please join along as we continue reading interesting books and debating ideas in a friendly space. Posted on February 1, 2018 February 1, 2018 Categories Book ClubTags Book Club, books, fiction, good reads, novel, summer reads, virtual book clubLeave a comment on “Little Fires Everywhere” book response and February selection! “A Fierce & Subtle Poison” book response and December selection! The last Wednesday of the month means… monthly book review! November’s selection was A Fierce & Subtle Poison by Samantha Mabry, which is a mystery with a splash of sci-fi that takes place in Puerto Rico. Last month I wrote that it was an unusual experience for me to read a book with a male protagonist, since ever since the Virtual Book Club started most of our selections have been female-led. Lo and behold, the main character in our November book was a 17 year old male! It took me several pages to realize this since A Firece & Subtle Poison is written by a woman, and has female hands on the cover. Lucas is a 17-year-old Texan who goes to Puerto Rico every summer since his father is a hotel developer there. Although he is a mainland American, he has spent a significant amount of time on the island since his childhood. He has a core group of local friends that he returns to each year. He and the friends heard scary stories about the boarded-up home down the street when they were children. Later, as tweens, they’d fold up paper wishes and throw them into the garden of the boarded-up house. Finally, when the book gets underway, he is a teenager sneaking down the alleyway of the mysterious house to make out with girls. The book unfolds in three parts. The exposition is where we learn about the various old señoras’ rumors pertaining to the mysterious house. Lucas meets a girl who he falls for, Marisol. Then, Marisol disappears. In the middle act, Lucas meets a strange, sick girl who lives in the mysterious house. At the end, there is a dramatic and exciting chase through the jungle. Overall it was a really easy read that I finished in one day. I recommend this for teens that like Stephanie Meyer (although I’ve never read Twilight or any other books by her) since this is a mystery & pseudo-romance with creepy paranormal/sci-fi elements. It was pretty surface-level for what it was, which is OK for a YA book. The thing that really got my brain going, and possibly the deepest thread in the book, was about Lucas’s real-estate-developer father’s impact on Puerto Rico and the impression that the locals had about the outsiders. I really got deep into what it means to be an insider and an outsider. I think of the recent development and rejuvenation of Tijuana, which I certainly benefit from and I think benefits the city as a whole (jobs, quality of life), but I realize that development like this widens the wealth disparity and pushes the poor farther out from the city center. The standard pros and cons of gentrification. Then I got thinking about Puerto Rico and how there is another layer to the dynamic. In the novel they see the rich Texans as outsiders, which I think is valid. There is a natural reaction of suspicion to “otherness.” But if PR is an American territory, and we are all Americans — which was the rallying cry after our government refused, and still struggles to aid Puerto Rico after the recent devastating hurricane season — then it’s definitely a double edged sword. Do we belong to each other, or don’t we? Very &/Both, if you will. The us/them dichotomy clashes with a “we are Puerto Ricans but also Americans” sentiment and the fact that many mainland Americans didn’t even know that PR was part of us until recently. Layers, on layers, with lots of opinions, lots of gray area, and no real answers. Except, you know, that FEMA needs to get it together and send some more help down there. That we can all agree on. Our Virtual Book Club normally meets the last Tuesday of the month over on Facebook. Did anyone else have whiplash from Thanksgiving, Black Friday, Small Biz Sat, etc? I think that impacted the number of attendees we had online last night but nevertheless it was great checking in with my fellow readers. We are always looking to grow our group. If you’d like to join us over there, message me on Facebook to be added. For December, I challenged the group to either re-read a childhood favorite or pick a youth/children’s book that they never got around to. I am currently deciding between Anne of Green Gables and A Wrinkle in Time (because, Mindy Kaling). I may just read both. Posted on November 29, 2017 Categories Book ClubTags Book Club, books, fiction, good reads, novel, science fiction, summer reads, virtual book clubLeave a comment on “A Fierce & Subtle Poison” book response and December selection!